Contains Sizes: 9, 10, 11, 12, 13, 14, 15, 16, 17, 18, 19mm. The 17 Piece Full Polish Combination Wrench set offers a variety of metric combination wrenches for any user need. These wrenches have a long panel design to provide more reach during use and the ability to apply more torque to a fastener. These wrenches also have DirectTorque; technology to help prevent the rounding of fasteners. 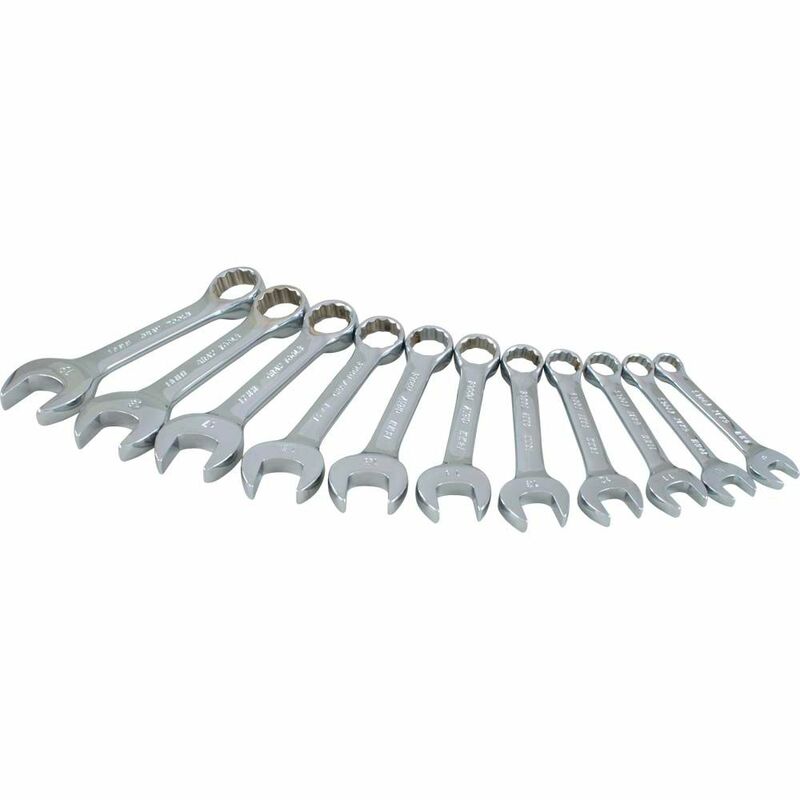 The 9 Piece Full Polish Combination Wrench set offers a variety of metric combination wrenches for any user need. These wrenches have a long panel design to provide more reach during use and the ability to apply more torque to a fastener. These wrenches also have DirectTorque; technology to help prevent the rounding of fasteners. 11 Piece Metric Stubby Combination Wrench Set The stubby combination wrenches in this 11 piece metric wrench set are precision broached for a tight and secure fit. The jewellery-like finish provides outstanding corrosion resistance as a result of our proprietary in-house plating process. All Gray combination wrenches are made from premium tool steel for maximum durability. Made in Canada and backed by Gray Tools worry-free lifetime warranty.